I do not know if it happens to you. Sometimes it happens to me to be so taken by the music and by my almost obsessive desire to listen to everything that sometimes I find myself disgusted at the same time and eager to hear something new, something completely different and fresh. Sometimes all that I would like to hear is noise which I could imagine the music, a space, a time.I think that it happens because sometimes I feel that music takes up a huge cultural space, a map and a almost infinite semiotic region where is so easy to get lost and so I want to turn over any noise that is not understood at first as music, that is fresh and complicated and free both from the aesthetic intention then from the aesthetic invention. Obviously this is a pure stylistic utopia of mine, but also reality may reserve its beautiful surprises. 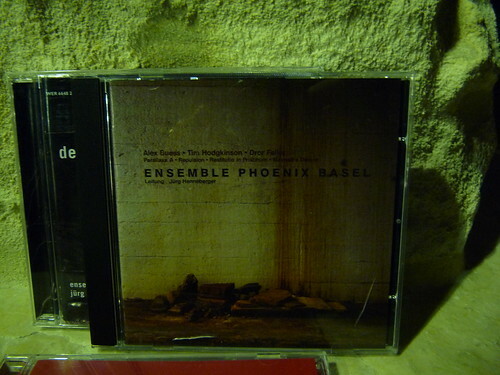 Like this disc from Ensemble Phonix Basel, creative group up to 25 musicians based in Basel, Switzerland dedicated to the contemporary repertoire and devoted to the music of three composers: Alex Buess (also stationed in Switzerland), Tim Hodgkinson (former member of the art rock band Henry Cow and associates of Fred Frith and Chris Cutler) and Dror Feiler. A noise which is not initially designed as music? The CD opens with "Biomechanical Version" of "Paralaxe A", written in 2002 for Ensemble and magnetic star by Alex Buess. A piece characterized by highly dynamic and sound intensity: the drums are "massive", the horns musical’s attacks are strong and intense, dense sound masses moving continuously combined with traces of electronic music that seems to refer more to rock maximalist and techno forms, all while staying clear arrays contemporary compositions, a piece not recommended for those seeking a quiet relaxing evening but with great effect.Quieter (so to speak) is the piece "Repulsion" by Tim Hodgkinson on clarinet, electric guitar, trombone and drums. There'sn’t the power of Buess’s music but we shall feel the deep and rich musical experience of the English composer, creating an almost filigree sound, with blurred colors, with left hanging implication. 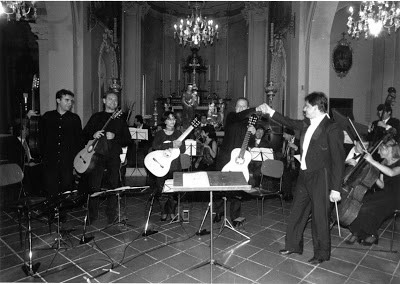 "Restitutio in Pristinum" by Dror Feiler is for amplified violin, electric guitar, sopranino saxophone, trombone and drums, sounds like a cross between the two previous pieces: blocked sound energy are opposed to the main theme in a clean and balanced way, without trespassing and overlapping one part over another.Exit the CD another piece of Buess, written nearly a decade before "Parallax" A ", entitled" Maxwell's Demon "for trumpet, trombone, electric bass, three batteries and live electronics, recorded live at the Gare du Nord, characterized by open and wide structure. What shall I say more? Three composers, Buess, Hodgkinson and Feiler with different ideas and point of views and an Ensemble able to give a shape and a sound to their musical ideas. 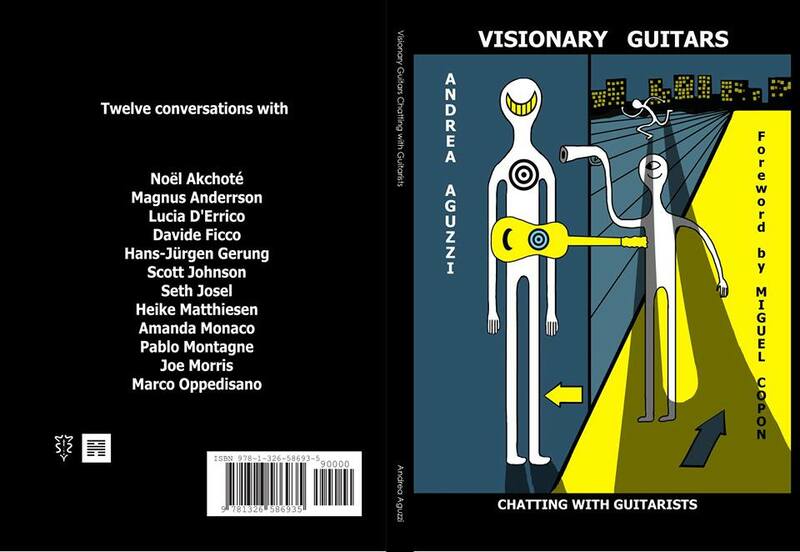 A nice cd where discipline of interpreting, the freedom of improvisation, the ideas of the composers, the power of musicians come and blend together, creating a dense sound, strong, like the wind that sweeps away the clouds in a spring day in March. The hell with those who say that music is dead. 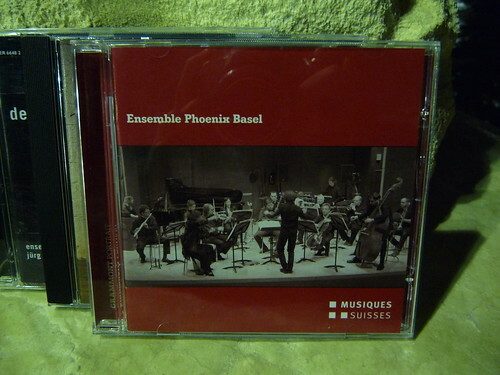 An impressive record, this latest work of the Ensemble Phoenix Basel, released in 2008 for the record label Musique Suisse. Impressive for several reasons: design, sound, recording.This record seems to represent an evening, a concert of the Ensemble. All five pieces were recorded live and can then be assembled together to be an effective witness to the skill and musical force that drives this group of well-rehearsed musicians. The sound that flows in our speakers is a sound open, rich, precise, clean, solid, characterized by an almost maniacal attention to detail, an attention which in my humble opinion has sometimes been unjustly neglected in contemporary music, in a contest between serial forms, where the fetishism of the detail, saturated with information, almost makes performances and listening almost impractical, and more aleatoric form where the regard to detail transforms the work itself into one abnormaly bloated detail whose result in terms of sound may here and there be rather involvin on account of the associations it evokes (clouds, wind, sea..). 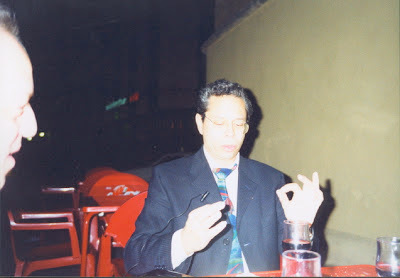 Infact, from mine personal point of view, a conception of musical form that tends toward openness implies the desire and the need to follow and develop formal pathways wich are alternative, unexpected, non-homogeneous and most important not linear. The risk in these cases is to draw a map, a form of self-referential language, from which going out and being able to communicate may risult difficult. It’s not the case with this CD, where you can just relax and be fascinated by the three-dimensional sound of the Ensemble.Very nice CD, accompanied by a beautiful 26-page booklet published in three languages. Alex Buess (*1954): Ghosts of Schizophonia (Phylum II) für Ensemble und Live-Elektronik. Do you know those days of bad weather? While still it’s not raining but the sky is full of heavy clouds moving quickly, moving in any direction by strong winds at high altitude? And we, children, sitting on the ground to enjoy this spectacle of nature that surrounds us, penetrates us, makes us feel a little smaller and leaner in our ideas, in our human ambitions. 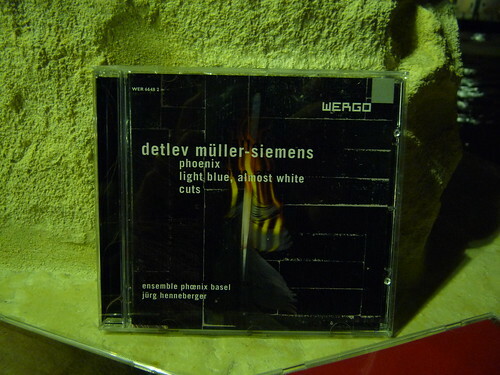 The music contained on this CD, where the Ensemble Phoenix Basel plays exclusively the music of composer Detlev Müller-Siemens realized for ensemble, seems to go in this direction, blocks, cloudy mass of sounds moving in a dimensional space, following a sometimes apparent chaos, sometimes following what appear to be rationally predetermined paths.The CD begins with the cycle "Phoenix 1-3", it seems to be present during the initial stages of a concert when the musicians rehearse a few steps, tune their instruments, until the director makes his entrance and the concert can begin, a moment of quiet initial chaos, which gradually takes shape in the unfolding of the piece when the musical material gradually takes shape, is transformed, is deformed following certain rules given by the composer. Policies that invest directly all three pieces that move in the same space and have a common base, while having each their autonomy, moving between the extremes of a compact shade and a straight intricate melody. "Light blue, almost white" refers to a text by Samuel Beckett, from which Müller-Siemens associates 'light blue' to a a basic sad trend as you can find in cool-jazz, but also in Japanese art. 'Almost White' was based on the breath, a sound, a sound base.The title "Cuts" has a double significance: it refers both to the cuts, the turning points in time and even to "physical" cuts for longitudinal sections, chants alternated with faint musical voices, almost murmuring, sounds almost dilated to open spaces ...As I said before, this is not simple or easy music, we're on new territories, often with only sketchy maps, whose exploration takes time, trust and passion. Have fun! Ci parli del tuo endorsement per la D’Addario, la nota marca di corde per chitarra, e non solo, americana? Tutto è avvenuto con estrema semplicità. A Koblenz, in Germania, ho incontrato Thomas Offerman, un bravissimo chitarrista che ha abbandonato l’attività concertistica e che ora si occupa della distribuzione europea della D’Addario. Conoscendomi di nome e sapendo quello che era il mio curriculum, mi ha proposto di fare l’endorser per la nota marca di corde, assicurandomi una ampia fornitura di corde all’anno. Come vedi la crisi del mercato discografico, con il passaggio dal supporto digitale al download in mp3 e tutto questo nuovo scenario? Hai aperto anche tu come me una netlabel, qual è il bilancio? Io credo che oramai il grosso delle attività discografiche abbia preso una direzione da cui non si tornerà indietro. A distanza di pochissimi anni c’è stata una vera e propria rivoluzione. Oggi ha senso pubblicare un CD solo per poterne avere un ricavo vendendone ai concerti. La tanto sbandierata “distribuzione internazionale” nei negozi è defunta già da tempo e la maggior parte di coloro che ostentano vendite di migliaia di CD, dicono solo falsità ben sapendo - a proposito di marketing - che è difficile smentirli. D’altro canto le numerose piattaforme con cui si possono vendere gli album, oramai consentono a tutti, con costi quasi inesistenti, di veicolare le proprie registrazioni ed interpretazioni e di farsi conoscere. Con la diffusione della musica liquida, dovuta all’abbassamento dei prezzi di vendita, anche le case discografiche hanno capito che questo era un canale molto redditizio per poter distribuire i loro prodotti. Per quanto riguarda la mia WebLabel, è ancora un po’ presto per poter fare un bilancio, anche tenendo ben presente che è un mercato di nicchia, ma in cui sono già presenti centinaia di migliaia di album. Il Blog viene letto anche da giovani neodiplomati e diplomandi, che consigli ti senti di dare a chi, dopo anni di studio, ha deciso di iniziare la carriera di musicista? Bella domanda! Purtroppo è difficile rispondere perché le variabili in gioco sono tantissime. Consigliaci cinque dischi per te indispensabili, da avere sempre con te... i classici cinque dischi per l‘isola deserta... e quali sono invece i tuoi cinque spartiti indispensabili? Sto portando avanti molti progetti e in vari campi. Dal punto di vista concertistico ho da poco fondato un nuovo quartetto legato al mio Magazine, il dotGuitar Quartet, con i miei amici e colleghi G.Allocca e P.Viti e con un mio brillante alunno, M.Tamburrini, col quale ho già fatto numerosi concerti. Molti di questi hanno avuto come protagonista la cantante Marina Bruno, interprete raffinata della melodia colta e popolare napoletana - già protagonista principale nella “Gatta Cenerentola” di Roberto De Simone - con la quale dopo aver portato in giro un programma intitolato “SudAmerica”, stiamo preparando un altro progetto che si intitolerà “Mediterranea” con arrangiamenti di musiche che vanno dalle villanelle napoletane, al fado, alla musica nordafricana, balcanica e greca. Da poco, dopo la prima esperienza col Concerto di Castelnuovo Tedesco per due chitarre e orchestra di due anni fa, ho iniziato a suonare stabilmente col virtuoso napoletano Aniello Desiderio dando vita al “Virtuoso Duo”. Con lui ho in programma un video, un CD e, per l’anno prossimo, un tour mondiale. 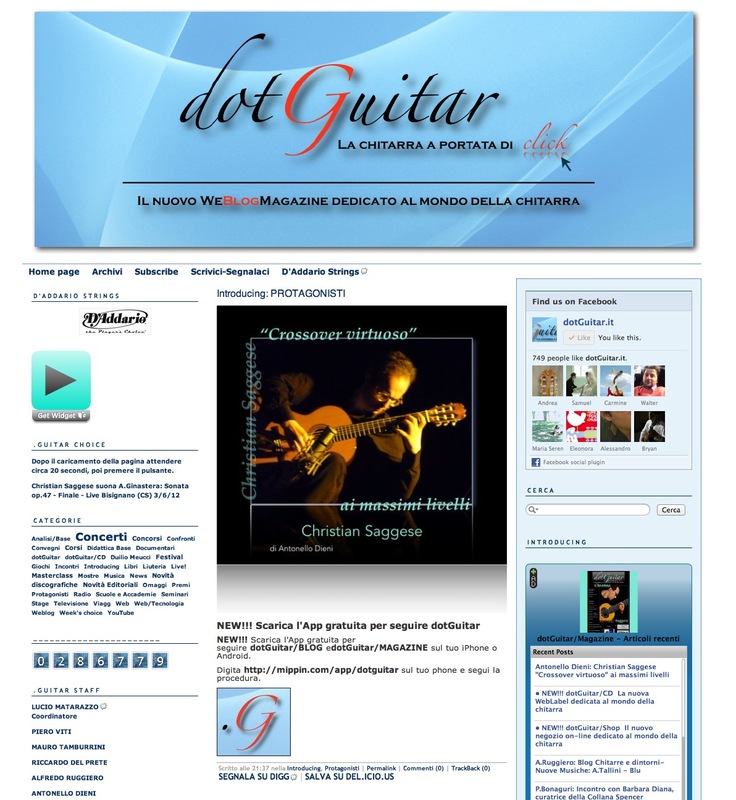 Per quanto riguarda l’attività editoriale, oltre agli sviluppi del Magazine, che l’anno prossimo vedrà ampliata la piattaforma con un corso di chitarra on-line ed una web-TV, ho da poco consegnato all’editore Ut Orpheus i primi 4 volumi della collana di studi e musiche dell‘800 che è da me diretta e che prevede in totale circa 40 volumi. Sarà una formula molto innovativa su una triplice piattaforma, perché per ogni volume ci sarà la partitura - con una introduzione di Angelo Gilardino - pubblicata da Ut Orpheus, le note di analisi e i consigli per lo studio, pubblicati sulla piattaforma iBook sul sito Apple, e l’album con tutte le registrazioni nella mia etichetta DotGuitar/CD reperibili on-line su iTunes Music Store, Amazon etc. 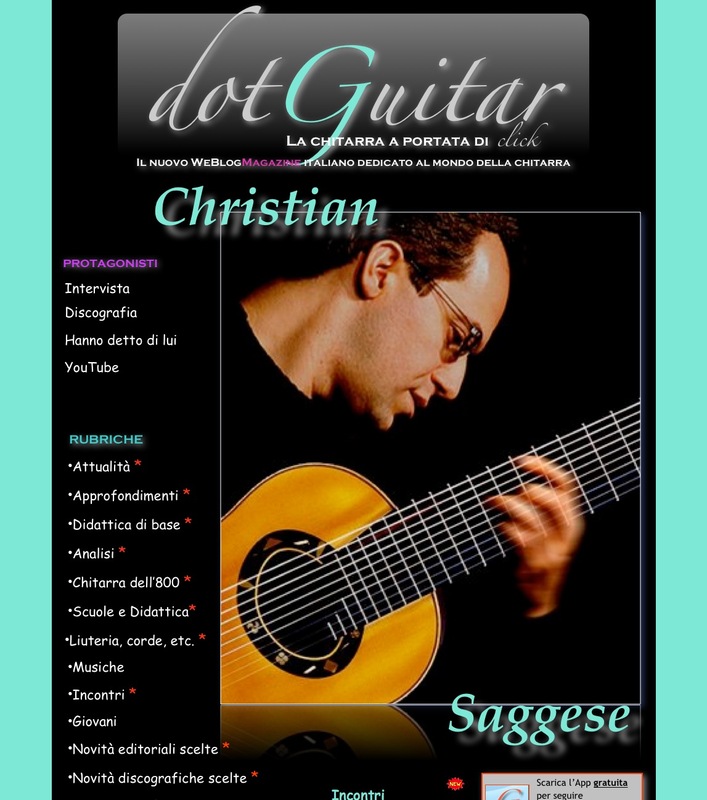 Recentemente ho presentato questo progetto in anteprima al Convegno Internazionale di Chitarra di Alessandria, durante una conferenza che ho tenuto sul “fenomeno” dotGuitar. Credo che sia la prima volta al mondo che viene presentato un progetto editoriale con una simile struttura! Ultima domanda, proviamo a voltare verso la musica le tre domande di J.P.Sartre verso la letteratura: Perché si fa musica? E ancora: qual è il posto di chi fa musica nella società contemporanea? In quale misura la musica può contribuire all’evoluzione di questa società? Credo che ognuno di noi possa rispondere in maniera diversa a domande simili; posso solo dirti perché ho deciso di essere musicista io. Innanzitutto perché mi piaceva molto esprimermi attraverso la musica, ma allo stesso tempo mi attirava molto anche questo senso di sfida al superamento delle difficoltà che lo strumento pone, una battaglia per una ricerca di perfezione che non si raggiunge mai e che anche quando sembra aversi “toccato”, sparisce rendendoti consapevole di quanto effimero sia il risultato. Alle altre due domande è difficile dare risposta perché il mondo della musica è molto variegato e quindi anche quello dei musicisti. So solo che - anche a costo di essere banalmente retorico - se ci fosse più musica e se ci fosse una partecipazione attiva alla musica colta da parte di più persone, vivremmo in una società di sicuro migliore. Se solo si tenesse in considerazione il fatto che due dei mali peggiori dei nostri tempi, la droga e il razzismo, sono praticamente assenti da questo piccolo mondo - pensiamo ad esempio, per quanto riguarda il razzismo e i conflitti etnici, al miracolo della West Eastern Divan Orchestra organizzata e diretta da D.Barenboim - si capirebbe quanto è importante la cultura e la conoscenza della musica. Ma oggi siamo tutti sotto una cappa dominata dalla finanza, dalle banche e dalle multinazionali, e si sta perdendo ogni contatto con ciò che l’uomo ha di più profondo: l’anima. Credo tu abbia ragione ma io proverei a ribaltare la domanda partendo da un altro punto di vista. Cosa contraddistingue un interprete e quanto delle sue caratteristiche viene influenzato da ciò che suona? Quando sento Pollini suonare Mozart, Chopin o Petruška, o Brahms sento un interprete dai connotati personalissimi eppure con mille sfaccettature diversissime. Un grande interprete secondo me è colui che sa infondere nella musica che suona un gran tocco di originalità restituendoci la personalità del compositore filtrata attraverso il suo pensiero, in un equilibrio costante e preciso, che sappia inquadrare il repertorio suonato nella sua epoca e nel suo stile - senza dimenticare il rispetto per la forma-struttura -, ma che sappia anche donarci le emozioni di una ”invenzione” con una sua - magari folgorante - intuizione interpretativa. Devo dire, senza falsa modestia, che una delle più belle considerazioni che sono state scritte sul mio modo di suonare, è quella espressa su Classical Guitar Magazine - in maniera semplicissima ma molto lucida - dal compianto Colin Cooper: He demonstrates that if you take a piece of well-tailored music and apply the ordinary rules of musical performance to it, as any pianist would do, the result is magic"
Oppure coloro che hanno un successo straordinario affrontando quel repertorio classico/leggero dove tutto ciò che sono la profondità e le caratteristiche del pensiero interpretativo “colto” - non a caso - non è che siano solo sbiaditi.... semplicemente non esistono! E quindi.... parliamo di marketing. Quanto pensi che sia importante per un musicista moderno? Intendo dire: quanto è determinante essere dei buoni promotori di se stessi e del proprio lavoro nel mondo della musica di oggi? Te lo chiedo perché ho sempre apprezzato il tuo impegno nei confronti anche dei “contorni” della musica: la presenza costante sui social network, la lunga collaborazione con GuitArt, il tuo blog DotGuitar, la casa discografica on line (di recente hai permesso l’acquisto del cd Blu di Arturo Tallini da lungo tempo non più disponibile), la presenza assidua nei forum di chitarra classica come DelCamp o Porqueddu ... come sta cambiando la figura del musicista? Il marketing non è altro che una studiata pubblicizzazione di ciò che si fa e si è - se lo si è - come artisti. Questo sostanzialmente significa un allargamento dei contatti e delle opportunità che possono essere date ad un artista per poter avere maggiori occasioni di proporsi e farsi conoscere. Alla fine però puoi allargare tutti i contatti che vuoi, ma se la tua proposta artistica - mi mantengo sul generico - non ha una validità accettabile, prima o poi il pubblico se ne accorge e ti castiga. Quante meteore abbiamo visto dissolversi nel nulla! D’altro canto il marketing da solo ha un respiro breve e di sicuro non ti fa fare carriera, a meno che non sei disposto ad addentrarti in altri ambiti e a investire cifre grandissime che, nel nostro mondo “colto”, hanno poco senso, visto il ritorno in termini economici. E’ un errore confondere il fatto che vivendo in un mondo in cui il ruolo della comunicazione sembra diventato prioritario, questo sia il fattore principale su cui basare e sviluppare una carriera artistica. Ci sono dei veri e propri bluff che spesso trovano dei canali di diffusione grandissima della propria attività attraverso i mass-media e quindi un enorme successo. L’altra sera ero a Londra a cena con uno scienziato britannico, un ricercatore collega di mia moglie. Abbiamo avuto una lunga discussione su alcune opere di Bach e, devo dire, sono rimasto meravigliato dalla sua competenza ed ancor più quando mi ha raccontato che lui era un cembalista dilettante e che tutti nella sua famiglia suonavano almeno uno strumento, la moglie il violino e i due figli il violoncello ed il flauto. E tutto questo rappresentava per loro la normalità, così come era normale che quasi tutti i loro amici avessero una buona conoscenza - sempre da dilettanti - della musica, attraverso una pratica strumentale diffusa, spesso iniziata in ambito scolastico. Mi si dirà che c’è anche l’arte dell’intrattenimento: verissimo. Ma il piano è un altro e ciò che distingue il “vero” dal “finto” è la genuinità e la sincerità delle intenzioni. Non ho nessuna difficoltà a dire che, ad esempio, “Emozioni” di L.Battisti può essere considerata Arte - anzi senz’altro lo è -, ma non credo che Battisti si sia mai dato pena di omologarsi come musicista nell’ambito “colto” - era “semplicemente” un Artista -, così come vedo fare ad alcuni personaggi che tentano per forza di ostentare una patente di autorevolezza culturale attraverso la definizione di “chitarrista classico” o, in altri ambiti, di “nuovo Mozart”. 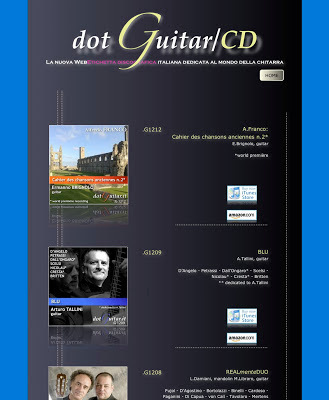 Ritornando alla tua domanda, devo dire che non ho mai pensato alla poliedricità delle mie attività come un aspetto del marketing, ma piuttosto ad interessi collaterali che si sono aggiunti, spesso anche casualmente, allo studio della musica e della chitarra e quindi alla mia normale attività. DotGuitar Magazine è nato dall’esigenza di alcuni miei attuali e passati alunni di portare sul web quelle che erano le esperienze fatte con i magazine cartacei, che stanno ora vivendo un momento di crisi, non solo di vendita, quasi drammatico. Vista la mia esperienza mi sono posto come coordinatore delle loro idee e, in breve tempo, abbiamo avuto risultati impensabili. Raggiungere circa 40mila contatti alle ultime uscite del Magazine è cosa non da poco, anche tenendo conto che molti contatti avvengono dall’estero, il che, per un magazine pubblicato quasi interamente in italiano, mi sembra un risultato non da poco. Che problemi avete dovuto affrontare? Progettando questo Magazine, il primo problema che si è posto è stato quello di conciliare la “velocità” di internet con la necessità dei tempi per articoli di approfondimento, problema in gran parte risolto con l’adozione di una doppia piattaforma, una di tipo blog su TypePad (http://dotguitar.typepad.com), aggiornata in tempo reale, con notizie ed informazioni su concerti, concorsi, info ed attività varie, e un’altra su un vero sito dedicato (www.dotguitar.it), con rubriche di approfondimento, analisi, attualità, storia, liuteria, etc. Al WeBlogMagazine (credo il primo in ambito chitarristico, non solo in Italia, con questa doppia struttura/piattaforma), si sono da poco aggiunti altri due settori: uno è la WebLabel, di cui sono Direttore Artistico, ed un altro è lo Shop, curato da alcuni miei collaboratori. L’entusiasmo che questa iniziativa sta suscitando è dimostrato anche dall’apporto che subito hanno dato tantissimi miei amici e colleghi tra i quali non posso non ricordare P.Viti, G.Signorile, P.Troncone, P.Bonaguri, A.Dieni, M.Rivelli, M.Bazzotti, G.Giglio, L.Tortorelli, M.Tamburrini, R.Del Prete, A.Altieri, A.Ruggiero, R.Calandruccio, S.Testa, S.Magliaro, G.Vanità e tantissimi altri. Ritornando alla precedente tua domanda, per quanto riguarda i forum, purtroppo la mia partecipazione, soprattutto a quelli stranieri, si è molto diradata per problemi di tempo. Credo che essi possano svolgere un ruolo molto importante soprattutto nel far crescere l’humus dal quale può uscire un pubblico con una preparazione migliore. 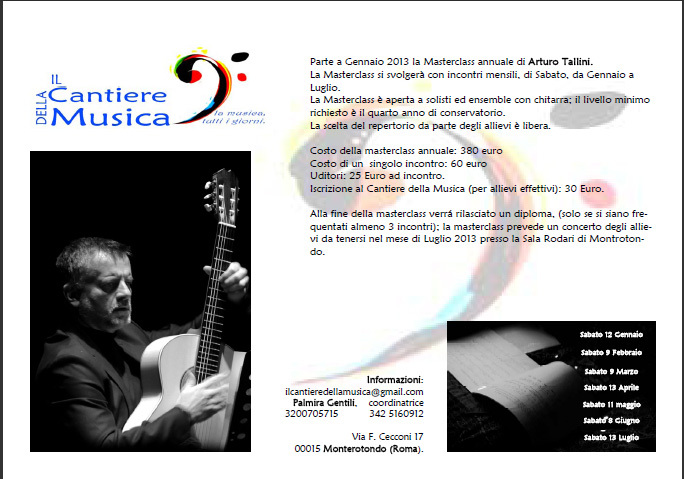 Molti amateurs possono trovare utili informazioni e spunti positivi per coltivare quella che è la loro passione per la chitarra. Grande merito va dato comunque agli amministratori e ai moderatori, i quali il più delle volte svolgono questo ruolo difficile senza un ritorno economico, con grande passione, dedizione e impegno di tempo per seguire gli utenti, che sono mossi dal desiderio di apprendere, possibilmente da chi ne sa non “per sentito dire”. Sì, già altre volte avevo lavorato in un simile contesto, ma su effetti non musicali. Tra l’altro, nel ’95 avevo elaborato i "rumori" che furono poi usati da Riccardo Muti per il mozartiano “Die Zauberflöte”, nell'inaugurazione della stagione del Teatro alla Scala di Milano, per la regia di R.De Simone. 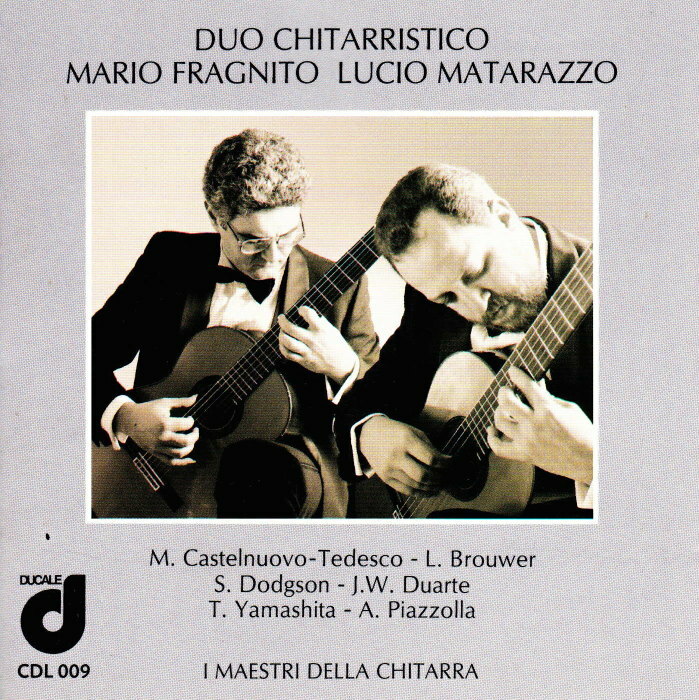 Tornando a Brouwer, l’elaborazione del “Paesaggio” piacque moltissimo anche a Leo - sempre alla ricerca di sonorità nuove - che ne fu entusiasta, e quindi decidemmo di inserirla nel CD. Dell’album uscito per la GHA è stata recentemente pubblicata una bellissima recensione ad opera del famoso chitarrista uruguayano Eduardo Fernandez, sulla rivista “Il Fronimo”. 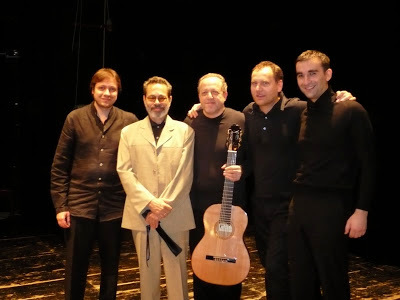 Mi ha fatto molto piacere che Eduardo abbia scritto che “Le esecuzioni del Guitart Quartet ci restituiscono (finalmente) queste opere di Brouwer come i capolavori che indiscutibilmente sono”. 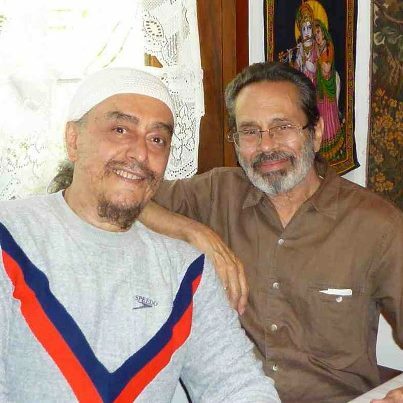 Purtroppo poi nel CD non abbiamo potuto includere, per un problema di diritti, la registrazione del “Concierto Italico” fatta con Leo come direttore, registrazione che è stata pubblicata poi a Cuba in un CD monografico di musiche di Leo. 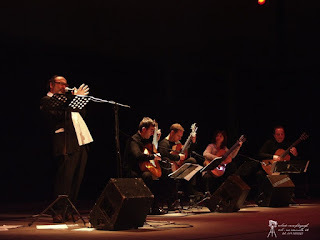 Al posto del concerto, visti i tempi ristrettissimi che avevamo, abbiamo inserito una mia versione per quartetto solo della “Gismontiana”. Anche la storia di questa versione è abbastanza particolare e legata al caso. 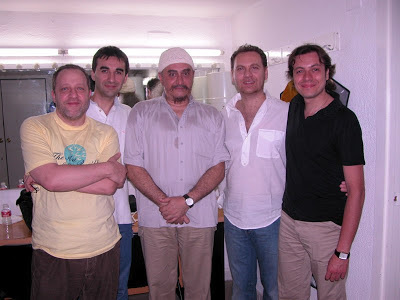 Leo - allora direttore del Festival di Cordoba - ci aveva invitato a suonare la Gismontiana con l’orchestra, vista la rinuncia (ufficialmente per una tendinite) data da J.Williams per l’esecuzione del concerto per due chitarre e orchestra (“Book of signs”) che doveva suonare con C.Cotsiolis. Pochi giorni prima del concerto però, Williams ci ripensa e dà la sua disponibilità a suonare. Non volendo rinunciare al concerto, proposi a Leo di suonare la mia versione per quartetto solo, e lui ne fu entusiasta, sia per la proposta, che dopo averla ascoltata. Rimase fuori da questa versione solo un brano, “Loro”, perché per come era scritto, con numerosi passi delle 4 chitarre all’unisono, non aveva molto senso arrangiarlo per quartetto solo. 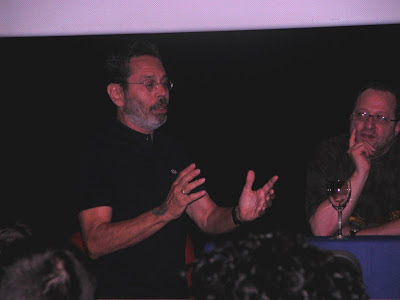 Parlando di compositori innovativi, che ne pensi di John Zorn, dei suoi studi Book of Heads e della scena musicale downtown newyorkese così pronta ad appropriarsi e a ricodificare qualunque linguaggio musicale, dall’improvvisazione, al jazz, alla contemporanea, al noise, alla musica per cartoni animati? Conosco gli studi di John Zorn attraverso le splendide esecuzioni - le ho sentite anche dal vivo - del nostro comune amico Marco Cappelli. E’ un ambito che mi attrae moltissimo e, devo confessare, più volte con Marco - durante i nostri incontri su Skype - ci siamo vicendevolmente rammaricati di non avere l’opportunità di collaborare insieme, cosa un po’ problematica, visto che lui abita a New York e spesso i suoi fugaci passaggi italiani sono coincisi con miei impegni all’estero. Credo anche io che la scena del downtown della Grande Mela sia la più reattiva a farsi permeare da tutti i linguaggi, non solo quelli da te citati, ma anche quelli, diversissimi, dell’est del mondo. Credo che però sia difficile, se non impossibile, per chi vive lontano da questa realtà, farsi “trasportare” da quest’onda innovativa che sta dando esiti imprevedibili, ma anche talmente multiformi, da essere quasi proibitivi per chi ne “vive” al di fuori. Non è un caso che Marco abbia fatto una scelta ben precisa in tal senso decidendo di risiedere stabilmente a New York. Berio nel suo saggio “Un ricordo al futuro” ha scritto: “...Un pianista che si dichiara specialista del repertorio classico e romantico, e suona Beethoven e Chopin senza conoscere la musica del Novecento, è altrettanto spento di un pianista che si dichiara specialista di musica contemporanea e la suona con mani e mente che non sono stati mai attraversati in profondità da Beethoven e Chopin.” Tu suoni sia un repertorio tradizionalmente classico che il repertorio contemporaneo … ti riconosci in queste parole? Anche se non sono un appassionato delle considerazioni in stile “aforisma”, devo dire di trovarmi sostanzialmente d’accordo con quanto scrive Berio. Ho avuto lo stesso approccio - l’interesse derivato dall’attrazione - sia suonando il liuto come continuo nelle Quattro Stagioni vivaldiane, che le canzoni di Berio (in una versione approvata dal compositore con la chitarra al posto dell’arpa) in ensemble in un concerto di musica contemporanea, o alcuni brani dal Marteau sans maître di P.Boulez - suonati al Teatro S.Carlo di Napoli alla presenza del compositore francese - passando per le sonate di Cimarosa e Scarlatti, per gli studietti facili dell’op. 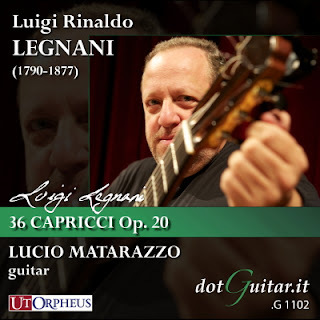 50 di M.Giuliani o per i Capricci di L.Legnani e per l’integrale (probabilmente la prima in assoluto) dei 24 Preludi e Fughe di M.Castelnuovo-Tedesco per due chitarre, o per gli studi di A.Gilardino. Naturalmente non mi riferisco all’approccio interpretativo, diverso per ogni autore, ma a quella autenticità di intenzioni che ti rende “onesto” di fronte ad ogni composizione, nella considerazione che la musica va sempre studiata e assimilata nel profondo, imparando a sentirla come “propria”, anche quando gli autori sono lontani tra loro anni luce. Io credo che l’ambito interpretativo, anche quando investe il repertorio cosiddetto “colto”, possa dare a volte spazio a modi di suonare che possono tranquillamente essere ascritti all’ambito improvvisativo. Mi spiego: se per improvvisazione si intende elaborare quello che è il materiale musicale intervenendo sulla sua essenza (note, armonia, struttura, etc. ), certamente questo esula dal campo della musica che tu giustamente definisci “codificata”. Ma se invece improvvisare significa farsi trasportare dalle emozioni che può creare l’estemporaneità di una esecuzione o di un “momento” (una sorta di “duende classico”: “il duende è un potere e non un agire, è un lottare e non un pensare”), allora certo che mi capita di improvvisare. Ascoltando la tua musica ho notato la tranquilla serenità con cui ti approcci allo strumento indipendentemente dal repertorio, da chi stai suonando, dal compositore, dallo strumento che adoperi, dimostri sempre un totale controllo sia tecnico che emotivo. Quanto è importante il lavoro sulla tecnica per raggiungere questo livello di “sicurezza”? Certamente il lavoro sulla tecnica è importante, ma avere il controllo di “ciò che si fa” deve solo servire come mezzo per poter rendere appieno “ciò che si pensa”, questo è il ruolo della tecnica, secondo me. 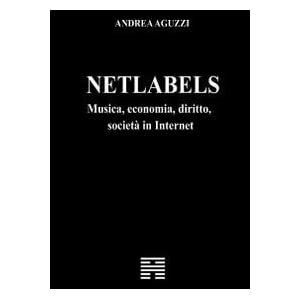 Anzi, più che di tecnica, parlerei di controllo e sviluppo di “tecniche”, cioè di tutto l’insieme delle varie “meccaniche” che consentono di avere una tecnica specifica da applicare alle singole esigenze che la “tecnica musicale” richiede per esprimere il proprio pensiero di interprete. Ti faccio un esempio molto banale: ho sempre sorriso quando qualcuno mi ha chiesto “che tecnica adoperi per l’esecuzione delle scale?” e ho sempre risposto che questa è una domanda, per me, senza senso. Se devo suonare una monodia molto legata e cantabile, non ho alcun problema a farlo con un solo dito della destra - magari con un tocco di polso senza articolazione delle dita -, così invece se il materiale musicale che sto suonando richiede un'articolazione binaria spiccata, uso l’alternanza i, m, ma se mi serve una velocità ed una scioltezza virtuosistiche (penso ai capricci di Legnani) allora frequentemente uso una diteggiatura a tre dita con a, m, i e non è che mi importi più di tanto se questo è un atteggiamento che non può certo definirsi, per molti autori, filologico. E un discorso simile si potrebbe fare per l’uso del tocco volante o appoggiato o per tutti gli aspetti meccanici conosciuti. Per questo dico che più “tecniche” si hanno a disposizione, più si può essere in grado di “rispondere” alle problematiche interpretative che la musica pone. 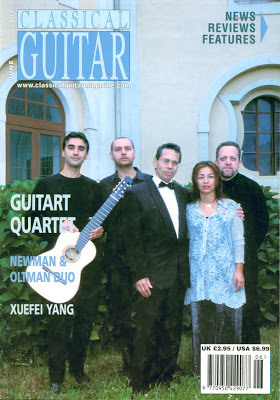 Come nacque il GuitArt Quartet? Il GQ nacque quasi per caso. Avevo da poco interrotto la mia collaborazione di duo più che ventennale con il mio amico e collega Mario Fragnito ed avevo iniziato a suonare da solo producendo i primi CD solistici (quelli dedicati a Carcassi, Legnani e Giuliani), quando - eravamo nel 1996 - Gianvito Pulzone, a cui avevo dato alcune lezioni in vista del suo diploma, mi chiese se avevo qualche alunno che potesse rimpiazzare un membro di una sua formazione nata in ambito scolastico. Così nel presentargli Giovanna Siciliano Iengo, mia talentuosa alunna appena diplomata col massimo dei voti e la lode, gli proposi di costituire una formazione stabile, alla quale avrei partecipato anche io nel ruolo di prima chitarra e di “conduttore”. A noi si sarebbe aggiunto poi un altro giovane virtuoso avellinese, Gianluca Allocca, che si assunse il ruolo - non certo comodo - di quarta chitarra, adoperando uno strumento a 8 corde. 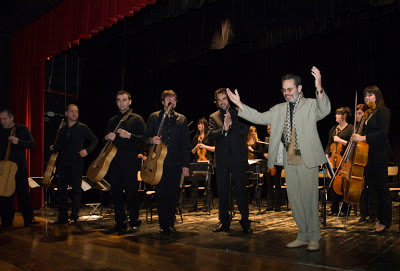 Fu un successo straordinario, da subito, e l’unione di tre giovani talenti con un musicista che aveva già una grande esperienza come me si dimostrò un’arma vincente. Fummo subito presi da un incredibile vortice di concerti a livello internazionale e, dopo pochissimi anni, iniziarono anche le dediche di alcuni importantissimi compositori. 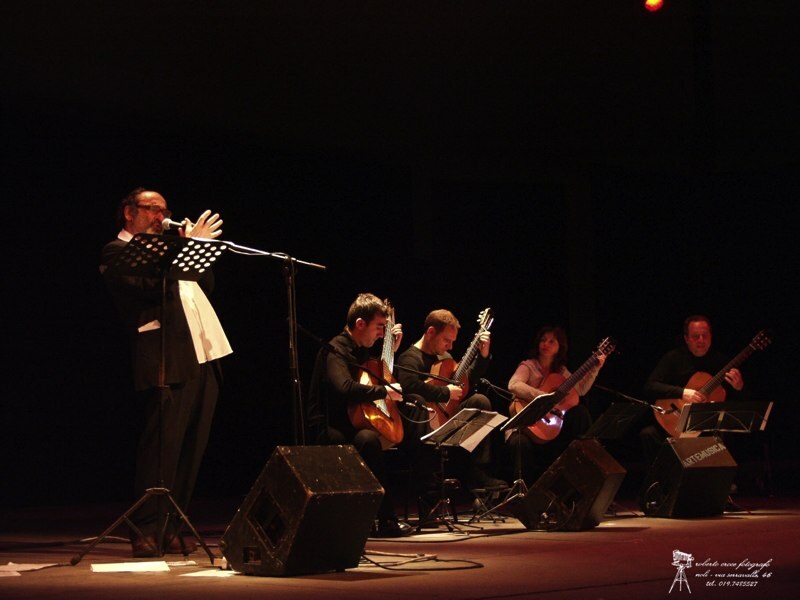 L’incontro con Leo avvenne a Cordoba, dove c’eravamo recati per una intervista per GuitArt, la rivista che avevamo da poco fondato con i membri del quartetto. 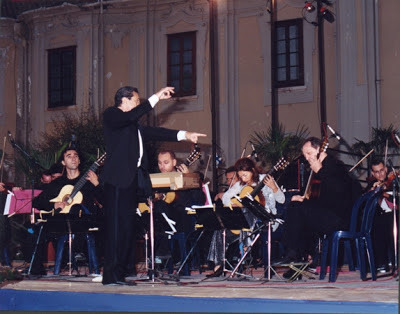 Era il 2000 e a quell’epoca Leo era Direttore dell’Orchestra del Teatro di Cordoba. Ricordo che ci accolse in una pausa di alcune prove dell’orchestra e ci portò in una specie di bettola, dove mangiammo - benissimo!! - e ai cui tavoli fu fatta l’intervista. Durante quell’incontro gli proponemmo di scrivere per noi un concerto per quartetto e orchestra. Acconsentì subito con grande entusiasmo - eravamo già diventati amici! - e all’inizio dell’anno successivo avevamo già la partitura del “Concierto Italico”. Pochi mesi dopo lo tenemmo a battesimo, con lui come direttore, al Festival di Todi e due giorni dopo al Festival Internazionale delle Orchestre di Avellino. Di quel primo piccolo tour di debutto fu fatto un bel video con un’intera troupe (regista, fonico, direttore della fotografia, addetto luci, etc) che vedeva frammenti di un’intervista a Leo alternati a spezzoni di backstage, prove e i concerti veri e propri. Dal video fu poi realizzato un DVD (montato da Giogiò Franchini, artista più volte candidato ai Nastri d’Argento e al David di Donatello) che ha fatto il giro del mondo riscuotendo grandissimo successo, ed è stato più volte trasmesso anche dalla piattaforma televisiva di Sky Classica. Come nacque poi l’idea della Gismontiana? Dopo aver suonato in tutto il mondo il Concierto Italico - nel frattempo era stato scritto per noi dal compositore polacco G.Drozd il “Concerto Rapsodico”, che abbiamo tenuto a battesimo al Festival di Lublino in Polonia - ci chiedemmo se era il caso di commissionare a Leo un altro concerto con orchestra, visto il successo del precedente, che ci era stato richiesto tantissime volte da organizzatori e direttori artistici di mezzo mondo. Ragionandone con lui ci venne da pensare alla sua elaborazione delle canzoni dei Beatles e gli chiedemmo se voleva, lavorando in una direzione simile, “arrangiare” del brani del celebre jazzista brasiliano Egberto Gismonti. 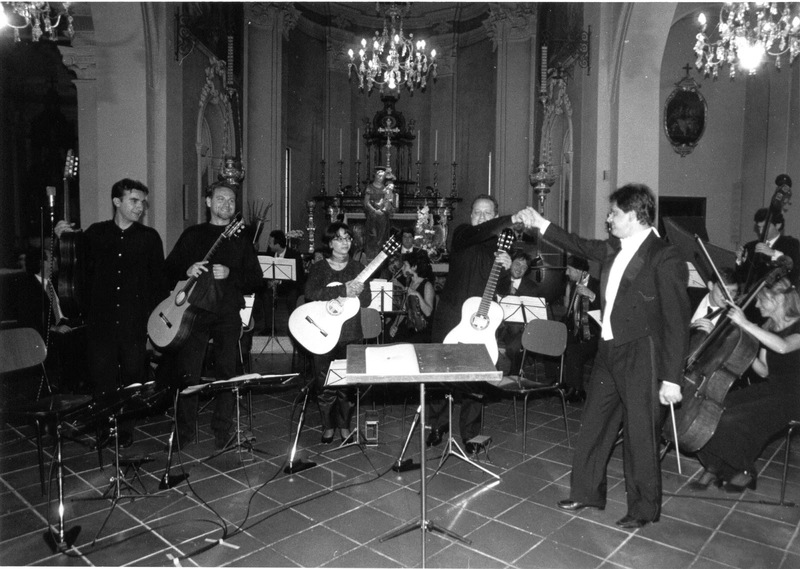 Così venne composta la “Gismontiana” per quartetto di chitarre e orchestra d’archi, che suonammo in prima esecuzione al bellissimo Teatro Gesualdo di Avellino e, la settimana dopo, al Festival di Latina alla presenza del compositore. Anche in questo caso il successo fu incredibile e quindi siamo veramente contenti di aver contribuito a far sì che un grande personaggio come Leo abbia scritto ben due concerti per noi, che oggi vengono stabilmente suonati, anche da tanti altri quartetti, in tutto il mondo. Decidemmo quindi che era maturato il tempo di registrare un CD dedicato alle musiche di Leo e lo proponemmo a Emanuelle Denis, la direttrice artistica della GHA (nonché moglie di Odair Assad). 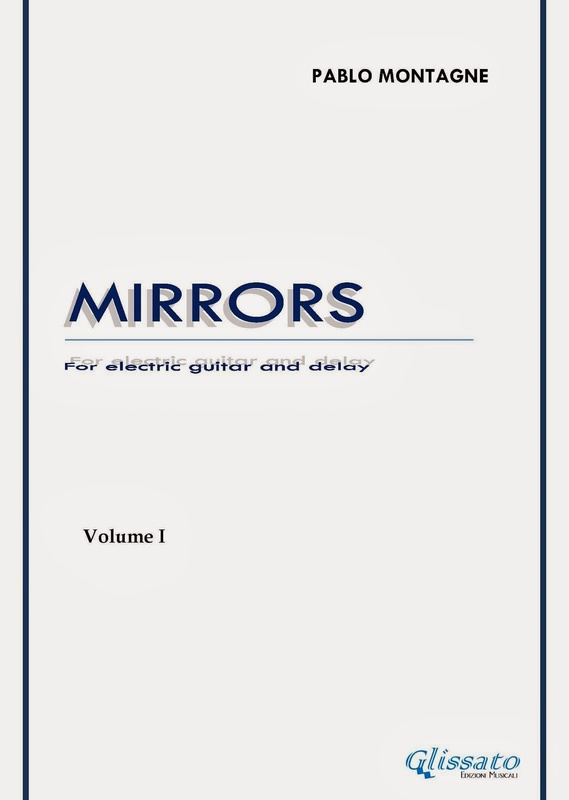 Fummo veramente lusingati quando ci rispose positivamente, visto che per la GHA hanno registrato e pubblicato CD i nomi più importanti del chitarrismo mondiale, da D.Russell agli Assad, dal Los Angeles Guitar Quartet a Roland Dyens. Nel CD abbiamo incluso anche una nuova versione del “Paesaggio cubano con pioggia”. Avendo già registrato lo stesso brano nel nostro album di debutto - “From Spain to Southamerica” - ho pensato di fare una nuova registrazione e di elaborarla poi elettronicamente. Anzi, approfitto di questa intervista per spiegare, visto che mi è stato chiesto più volte, il procedimento adottato. La registrazione è stata inserita, usando Pro Tools, in una serie di 8 processori (Comb.Filter, Doppler, Resonance, Shuffling, Metaflanger, MondoMod, SuperTap-6Taps, PitchAccom.) con 6 Reverb, 3 Compressori e, naturalmente, un Limiter sul Master in uscita. Tutti gli effetti erano a cascata e su ogni Channel Strip c’era un EQ diverso, per cui il missaggio è stato particolarmente laborioso, data l’influenza di ciascun effetto sugli altri, anche perché c’era un progetto iniziale di elaborazione - da me pensato e studiato - a cui mi sono voluto strettamente attenere. Avere il controllo finale su tutto è stato abbastanza difficile! Keine Konzertsaison des Ensemble Phoenix ohne das Trio-Konzert mit den Gründungsmitgliedern Christoph Bösch (Flöte), Jürg Henneberger (Klavier) und Daniel Buess (Schlagzeug). Zu den Vorlieben des Trios gehören die Komponisten der New York School der sechziger und siebziger Jahre, etwa Morton Feldman oder im vorliegenden Programm als "Ur-Komponist" Earle Brown. Auf Anregung von Luigi Nono und anlässlich eines Vortrages zu Notation und Form, komponierte Earle Browne für die Darmstädter Ferienkurse 1959 das Stück Hodograph I, das nach Artikulations- und Notationsmöglichkeiten für die Bewegungen und Kräftewirkungen eines musikalischen "Partikelsystems" suchte (griech. hodos, Weg, Strecke). Diesen Ansatz ergänzt passend eine Frage, die Morton Feldman fast zwanzig Jahre später gestellt hat: "Why patterns?" (1978). Man sieht sie, die patterns, in diesem rund halbstündigen Stück nicht aus einer Übersichtsperspektive wie auf den orientalischen Teppichen mit ihren Mustern, für die sich Feldman bekanntlich in den siebziger Jahren zu interessieren begann. Vielmehr sind sie in ihrer Fassbarkeit stets wieder hinausgeschoben, dem vermeintlich zufälligen Spiel zwischen Flöte(n), Klavier und Glockenspiel überlassen und aus dem Feldman'schen Paradox statischer Beweglichkeit geschöpft. Den zwei amerikanischen Komponisten stehen drei Werke deutscher Komponisten gegenüber, die freilich ganz unterschiedliche ästhetische Positionen repräsentieren. Von Georg Katzer erklingt ein für den Pionier der elektroakustischen Musik in der DDR nicht unbedingt repräsentatives - und gerade dadurch spannendes - kurzes Trio für Flöte, Schlagzeug und Klavier. 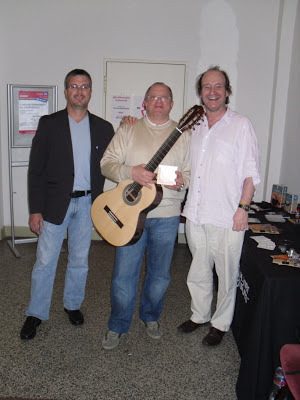 Die gleiche Besetzung wählte Dieter Mack in seinen Versuchen, die Gattung mit wechselnden Instrumenten neu durchzuprobieren für sein viertes Trio 2006. Caro Lucio, benvenuto sul Blog Chitarra e Dintorni Nuove Musiche, è un po’ che ci conosciamo ma finalmente troviamo il tempo per una intervista. 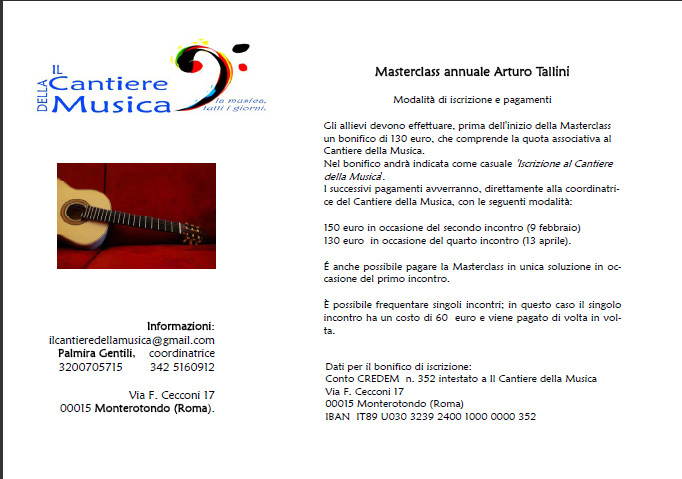 La prima domanda è sempre quella classica: come è nato il tuo amore e interesse per la chitarra e con quali strumenti suoni o hai suonato? Ciao Andrea, è un vero piacere essere intervistato per questo tuo interessantissimo blog che, come sai, seguo da tempo con grande interesse. Ho avuto vari strumenti, ad iniziare da una Calace da studio che pagai 48mila lire, compreso il fodero di cartone! Sono poi passato alle De Bonis: ne ho avute tre, una di Vincenzo del ’72, una di Nicola del ’74 e poi ancora una di Vincenzo del ’78. 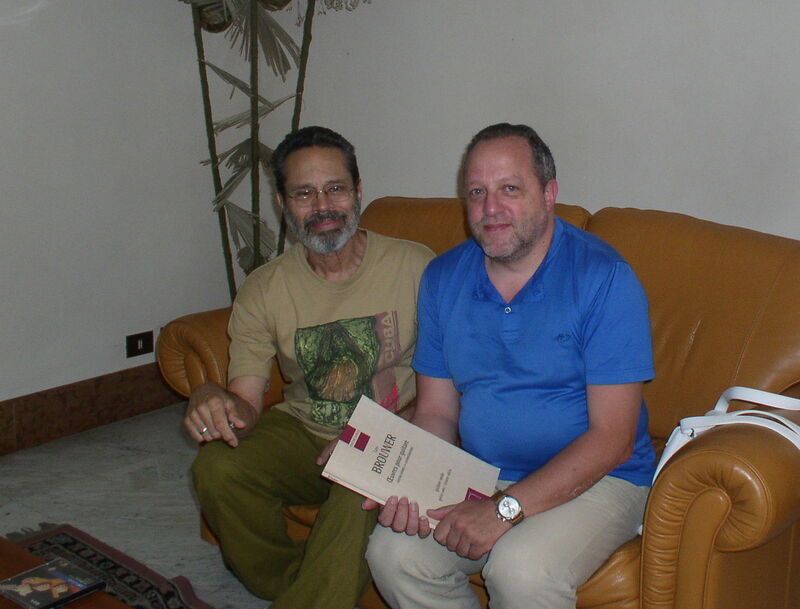 Studiando con A.Gilardino ebbi modo di conoscere L.Arban, un liutaio di origine italiana emigrato in Sudamerica e poi ritornato in Italia, di cui ebbi una chitarra del 1980, con la quale ho registrato i primi dischi in duo con M.Fragnito. In seguito ho avuto 5 Garrone e poi una G.Giussani in abete e palissandro. Ho avuto poi alcune Giussani modello Leonardo in cedro/cipresso tra cui quella che ho adesso, modificata secondo alcune mie specifiche. 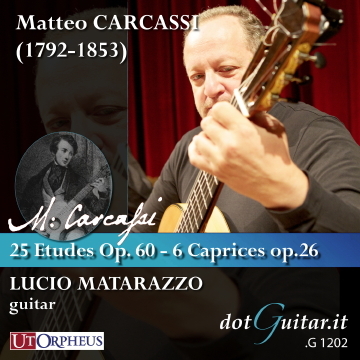 Berlioz disse che comporre per chitarra classica era difficile perché per farlo bisognava essere innanzitutto chitarristi, questa frase è stata spesso usata come una giustificazione per l’esiguità del repertorio di chitarra classica rispetto ad altri strumenti come il pianoforte e il violino. Allo stesso tempo è stata sempre più “messa in crisi” dal crescente interesse che la chitarra (vuoi classica, acustica, elettrica, midi) riscuote nella musica contemporanea. Quanto ritieni che ci sia di veritiero ancora nella frase di Berlioz? Sinceramente? ...proprio nulla, e non da ora! 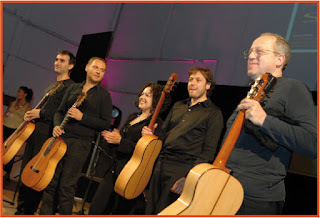 Il mondo della musica - e quindi anche quello della chitarra - è cambiato in maniera straordinaria e sostanziale nel secolo e mezzo e più che ci separa dalle affermazioni di Berlioz. Se esse potevano avere una qualche giustificazione all'epoca di Giuliani, Sor, Carulli o poi Regondi e Coste, dove l'idioma chitarristico pervadeva gran parte del repertorio di musiche per chitarra - non a caso composto quasi esclusivamente da autori che erano anche chitarristi - già da molto tempo esse non hanno più alcun senso. 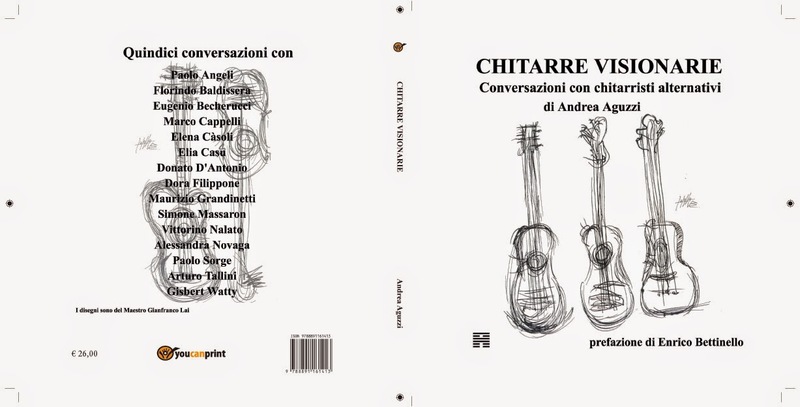 Basti solo citare ciò che hanno scritto Britten, Henze e Takemitsu per poterle confutare appieno..., senza parlare di chi l'idioma chitarristico ha contribuito a evolverlo, come Villa-Lobos. Oggi chi parla ancora di repertorio limitato o indugia in improbabili confronti tra i repertori dei vari strumenti, testimonia solo il permanere di un provincialismo culturale che, insieme a una buona dose di non-conoscenza, sta, per nostra fortuna, diventando sempre più marginale. Come tu giustamente sottolinei, oggi la chitarra, strumento dalle mille facce, è ampiamente a proprio agio nella musica contemporanea e non soffre più di nessun timore reverenziale nei confronti di altri strumenti. Lo stesso dicasi per l'atteggiamento dei compositori nei confronti della chitarra, quando questa risponde alle esigenze timbrico-strumentale dei loro interessi compositivi. Io credo che alla base di tutto ci sia la curiosità che ti spinge a voler conoscere sempre ambiti nuovi e la voglia di mettersi sempre in gioco. Se tutto questo non viene meno nel tempo, è quasi naturale lasciarsi "influenzare" dai vari mondi musicali che ti circondano o con i quali, per i motivi più disparati, vieni a contatto. C'è poi una connotazione di tipo caratteriale che è insita nella persona: la volontà di cercare di fare sempre tutto al meglio. In questo, devo dire, sono stato molto fortunato incontrando sul mio percorso due docenti che hanno segnato molto - al di là di ciò che ho da loro imparato in ambito didattico e musicale - il mio carattere, ed hanno contribuito allo sviluppo della mia personalità di musicista. 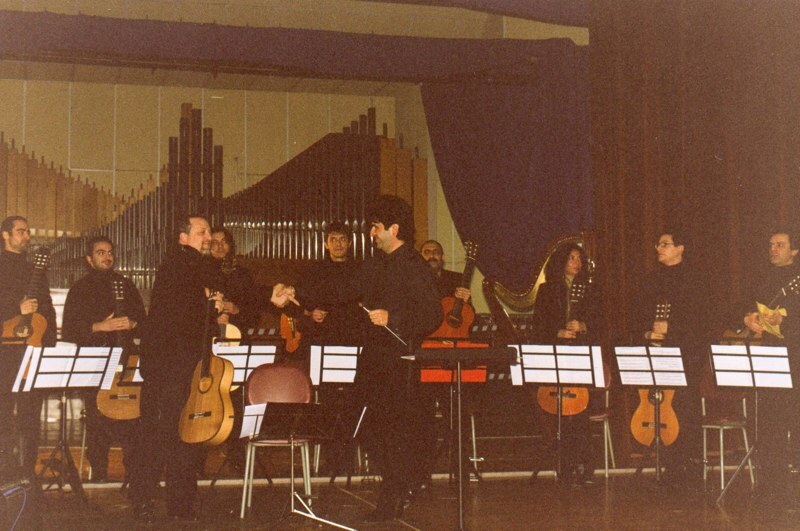 Mi riferisco a Eduardo Caliendo, con cui ho studiato negli anni della mia formazione al Conservatorio “Cimarosa” di Avellino, e ad Angelo Gilardino con cui mi sono perfezionato lavorando molti anni all'Accademia Superiore di Biella. 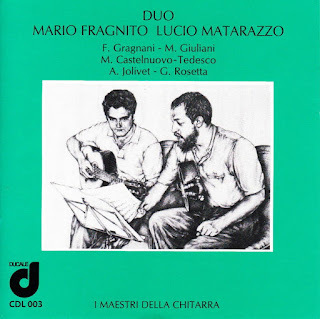 Da entrambi ho mutuato questo grande entusiasmo nei confronti di tutto ciò che riguarda la musica e la chitarra, lo studio, la ricerca del repertorio, la curiosità di analizzare gli aspetti più peculiari delle interpretazioni dei grandi artisti e di appropriarmene - senza "affiliazioni" -, e di farlo tenendo presente sempre i risvolti culturali che tutto questo ricercare comporta, insomma una sorta di "eticità" che attraverso la chitarra diventa un impegno di vita, non solo artistica, quotidiano. L’impegno costante con l’insegnamento al Conservatorio di Avellino, la collaborazione con Antonello Ruggero, il forte rapporto con Leo Brouwer, il GuitArt Quartet …. Ci vuoi parlare di tutti questi impegni? Insegnare è stato per me soprattutto innovare; già dai primi anni di insegnamento ho sempre cercato di andare oltre i programmi ministeriali dei corsi ordinamentali, abbastanza validi per l’epoca in cui vennero emanati, ma distanti anni luce dal nostro attuale mondo. 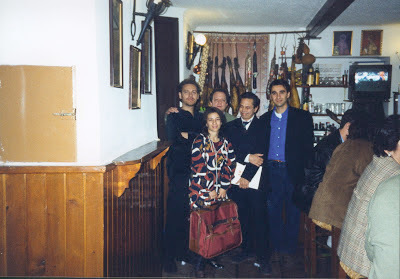 Con le prime sperimentazioni avviate dal Ministero in conservatorio nel 2001 - e con la "complicità" del mio collega/fratello S.Magliaro! - demmo vita ai corsi di I Livello, tra i pochissimi in Italia approvati dal Ministero, con un rinnovamento totale dei programmi, con due percorsi distinti, Chitarra dell’800 su strumenti d'epoca e Chitarra del '900 e contemporanea. Approfittammo delle possibilità offerte dalla "sperimentazione" per inserire altre discipline costruendo un percorso più articolato, che prevedesse esami in cui suonare - come brani obbligatori, non a scelta - studi come quelli di Gilardino e Gangi, ma anche di Bettinelli, Dodgson, Jolivet, Bogdanovic e Camargo-Guarnieri - oltre a quelli di Villa-Lobos - per “Prassi Esecutiva Repertori Monografici”, almeno quattro Preludi e Fughe di M.Castelnuovo Tedesco per “Musica per insiemi di chitarre” e due Concerti per chitarra e orchestra per “Prassi Esecutiva Repertorio Orchestrale”, oltre naturalmente al repertorio con alcuni brani d'obbligo per la “Prassi Esecutiva”. Non mi pare ci siano molti conservatori con simili programmi di esame, tutti obbligatori e non lasciati alla scelta occasionale di un alunno o di un docente. All’inizio venne rinnovato anche il concetto stesso di esame: ogni prova veniva registrata e nel solo primo anno abbiamo prodotto ben 6 CD! 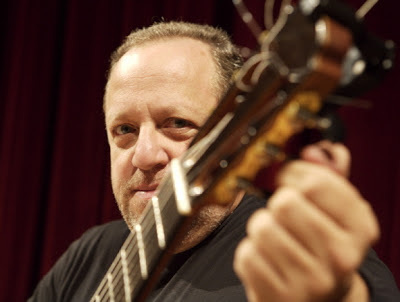 Con i migliori alunni ho inoltre formato un’orchestra di chitarre, nella quale ho anche suonato, nella parte di chitarra solista (la chitarra live) dell’Electric Counterpoint di S.Reich. Oggi alcuni di quegli alunni sono a loro volta docenti di conservatorio e collaborano con me, come colleghi, allo sviluppo di quei programmi. La voglia di “incontrare” altri ambiti mi ha poi portato a collaborare con Antonella Ruggiero, personaggio che non ha bisogno di presentazioni, allestendo un programma che potesse mettere in risalto la sua splendida voce grazie ad arrangiamenti che interagissero con essa senza far assumere al nostro quartetto, il GuitArt Quartet, il ruolo comprimario di strumentisti “accompagnatori”, ma creando un unico insieme “concertante”. Un’altra “avventura” sono stati poi i concerti con l’attore Alessandro Haber, nei quali lui recitava testi di J.L.Borges e noi suonavamo, con lui o alternandoci a lui, brani di Troilo, Piazzolla, Brouwer e Gardel. Non potendo fare alcuna prova - era sempre impegnatissimo sul set di qualche film - ogni concerto diventava una sorta di improvvisazione, con risultati che erano legati all’estemporaneità dell’estro momentaneo. Ricordo un concerto al Festival di Mottola, lui arrivava dall’Africa dove stava girando un film, noi dal Portogallo, dove avevamo suonato la sera prima, e dopo circa 14 ore di viaggio. Giungemmo circa mezz’ora prima dell’inizio del concerto, a malapena in tempo per fare il sound-check: fu semplicemente splendido, uno dei concerti più belli e intensi che abbia mai fatto!